Join Me at the Shape Diva Dash in CA, CO & TX! I’m looking forward to leading a special workout series for Shape Magazine and Oakley this Spring! 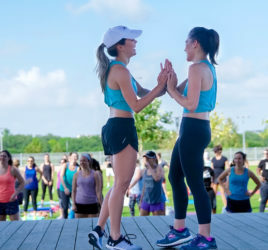 The special workout will be part of Oakley’s VIP event held the day before the Diva Dash race in select markets such as San Diego, Boulder and Dallas. Oakley will also be conducting a live ambassador search this year at each of these VIP events that are limited to only 200 women. You can read about it in this month’s Shape Magazine and apply here: Shape.com/Oakley Being an Oakley Brand Ambassador has been an incredible experience and I encourage you all to apply!